Are you trying to eat healthier, fresher food in the New Year? Add some flavor into your 2017 diet with Crate & Barrel’s healthy kitchen housewares. They have a wide selection of gadgets from herb strippers to Paderno Spiralizers, now all 20% off. Paderno spiralizers are an easy way to spice up your weekly meal plan. 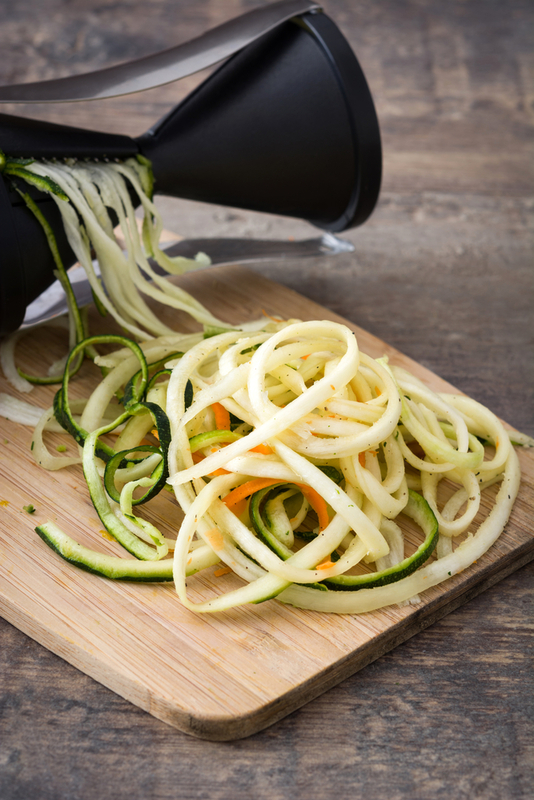 Simply insert your vegetable of choice into the spiralizer, press down on the core or crank, and watch as the gadget turns your fresh produce into curly “noodles.” Spiralizers also come in different variations like hand-held or crank, as mentioned above, as well as 2- or 4-blade. Have a different gadget in mind? Don’t forget to check out the rest of Crate & Barrel’s clearance kitchenware. Shop Healthy Housewares at Your Local Crate & Barrel! This sale last only until January 16, so visit your nearest furniture store today! For deals on modern furniture and gorgeous home decor year-round, remember to sign up for a Crate & Barrel credit card.